Why Service Your Mercedes-Benz at Our Dealership? If you're looking for car service worthy of your vehicle, allow Carousel Motors to be your knight in shining armor. The Mercedes-Benz Service Center in Iowa City, Iowa offers a variety of new and pre-owned models for your consideration. For parts or upgrades, look to our range of genuine and high quality Mercedes-Benz parts. Everything we offer is top-of-the-line and befitting your luxury vehicle. Drive with confidence when you know that your car has been serviced by Carousel Motors. 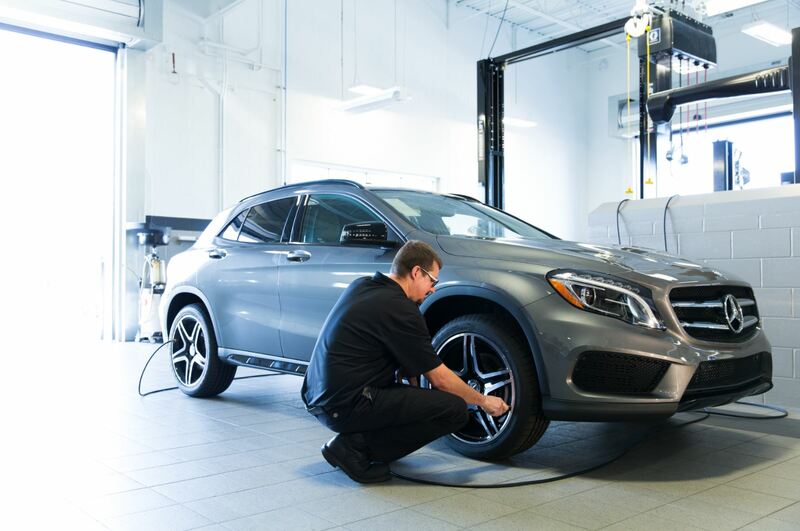 Service your Mercedes-Benz vehicle at your trusted Iowa City, IA Mercedes-Benz dealership. At Carousel Motors, we're committed to keeping things running smoothly. If they are to provide you with a top quality ride, vehicles must be treated with top quality care. Our Mercedes-Benz service center in Iowa City, IA keeps your vehicle running with routine repairs, tire rotations, brake service, and more. If you have any questions about the state of your vehicle or any possible upgrades, our experienced team is on-hand to provide advice and assistance. Leverage their expertise to keep your car driving its best. For years, we have provided top quality Mercedes-Benz service in Iowa City, IA. Turn to us for all of your car maintenance needs, from tire rotations to checking engine oil levels. To give your car or SUV the care it deserves, schedule a service at Carousel Motors today.